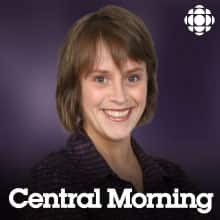 Join host Leigh Anne Power in Gander on the Central Newfoundland Morning Show. The show provides news along with current affairs items and stories of local interest from urban areas and the diverse rural communities surrounding the two towns. Got a good idea for a horror movie? We'll the Nickel Film Festival wants to see it. We talk about their 48-hour horror movie challenge starting on Friday. Some RCMP traffic cops are on the move to new detachments. We find out what's behind the changes from Superintendent Holly Turton.